Brand new urban fantasy series by Hailey Edwards, bestselling author of the Gemini and Blacseries. 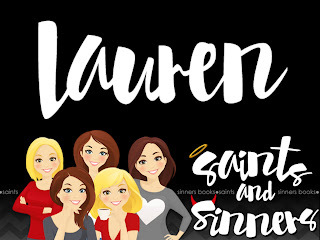 Perfect for fans of Jennifer Estep, Darynda Jones and Ilona Andrews. THIS BOOK IS UF LIFE!!! There I said it. Even only being 9 days into the year, I am in LOVE with this series. I’m not talking about lust. Nor infatuation. This is pure unbridled love. 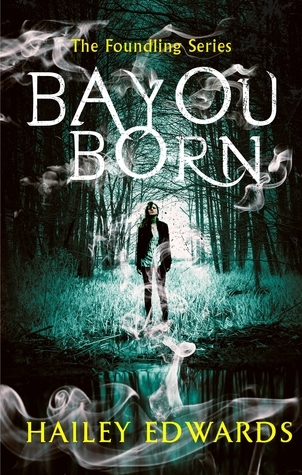 Bayou Born grabbed me by the heartstrings, and pulled me into this wildly exciting story from page one. I honestly cannot remember a book that has done that in such a long time. Edwards otherworldly tale is so unique that I didn’t even see some of the plot twists coming. That is also a first because this self-proclaimed plot smasher can usually smell them from a mile away. With Bayou Born, I was left awestruck. Luce’s complexity as a character is only a drop in the bucket to her smoke and mirrors filled past. She’s got such a tough exterior that when THE plot twist came about 2/3rds the way into the book that I had to go back and re-read the page to make sure my mind wasn’t playing tricks on me. IT’S THAT GOOD! Throw in Cole, insert firey swoon here, and the rest the motely coterie, and you’ve got the makings of a hit series. Edwards was a new author for me, but if this book is any indication, I will be reading her years to come. Now…. When do we get book #2?